It was a very emotional time for us and at times challenging to have each other present when confronting our past, but it also meant that we were each others witnesses and could truly understand the new path we had chosen. I will never forget a spontaneous moment at the end of the Process during a celebration when our course mates playfully showered us with droplets of water from a fountain while myself and my husband improvised our new vows to each other. 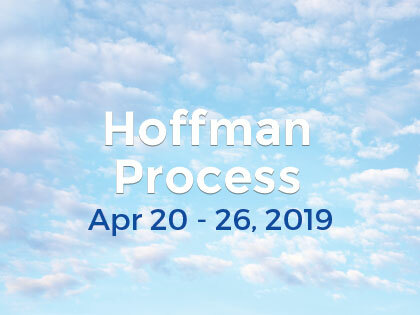 I have to say it was even more meaningful to me than on my wedding day because it was only after the Hoffman Process that we were able to connect from a place of absolute truth and authenticity.